£4 per morning or £3.50 per morning when booking a half term or termly course. Includes a simple, healthy breakfast on a self serve basis. Dazzle has been running the successful early morning ‘Wake Up Club’ at Minchinhampton Primary School since October 2015. 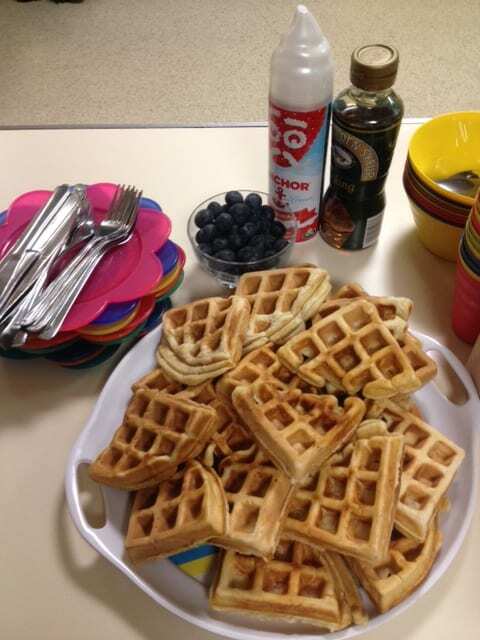 A Dazzle ‘Wake Up Club’ is not a typical school breakfast club. The children are welcome from 7.45am and a simple healthy breakfast is ready with activities set up in the hall and a colouring and craft table. Once the majority of the group has arrived we can start the principal activity which varies from street dance, plate spinning, football skills, french skipping, tennis, gymnastics, craft activities, board games, yoga, basketball or indoor cricket. The session closes with the ‘Check Me Out’ section when the children are invited to demonstrate skills they have been practising and enjoy before joining their classes. 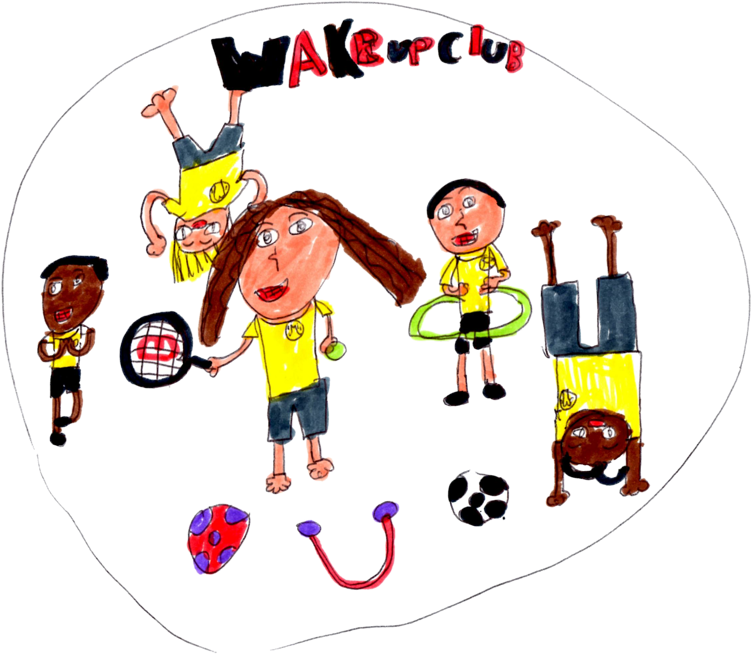 A Dazzle ‘Wake Up Club’ aims to develop new skills, fitness, co-ordination, confidence and be ready for a day at school. 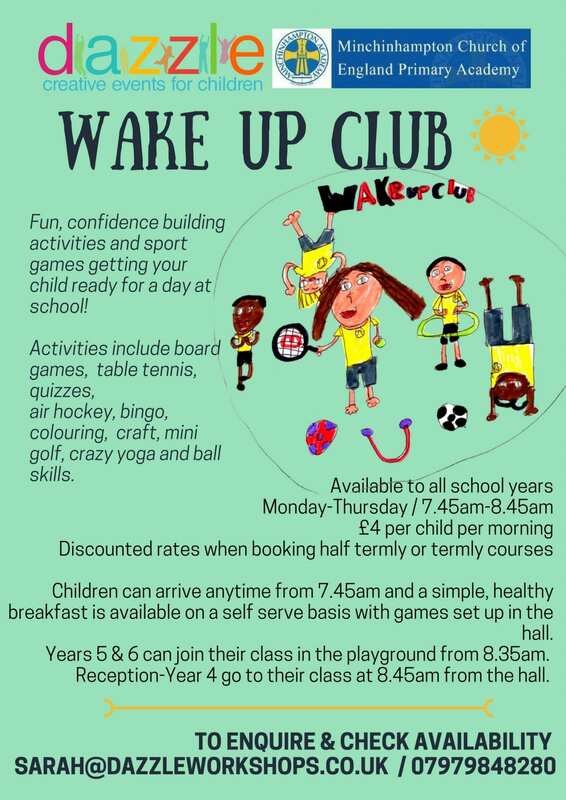 Dazzle currently runs Wake Up Club sessions on Mondays – Thursdays at Minchinhampton Primary Academy.